REGISTRATION FOR ALL OTHERS STARTS ON THE 16TH. 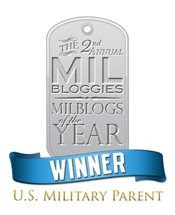 The 2006 Milblog Conference is designed to bring milbloggers together for one full day of interesting discussion on topics associated with milblogging, and will explore the history of milblogs, as well as what the future may hold for this medium which the military community is using to tell their stories. Seating is limited to 300 seats. Non-milbloggers and non-bloggers are welcome to attend the conference, but because this conference is for milbloggers, milbloggers are being allowed to pre-register for the first  seats. 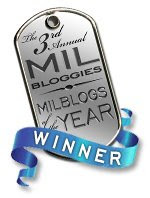 Any unclaimed milblog/military (active, reserve, military, & their significant others and family) seats will be released to non-milbloggers and the public at 12:01AM on the 16th. Registration for this event is free of charge. All registrations are first-come, first-serve. For our troops and others who are unable to attend the event, live video feed of the conference will be available so that you can log-on and watch the conference from any location worldwide. Once again, a very, very heartfelt thank you to the Departmental Network of the Veterans of Foreign Wars, who have graciously donated time and resources to this conference and have been invaluable to this effort. The VFW designed the conference site, are hosting it and will be running the video feed. SO GET ON OVER AND SIGN UP!!! I sure would like to attend, but work & finances dictate otherwise. I know y'all are just gonna have such a good time! I'm envious!